Buy to let loans can be a good investment especially if you have researched all of your options with regards to interest rates and property prices. However, the buy to let market is not as stable as it once was, and borrowers do need to make sure their investment will pay off when it comes to renting out the property. What is a Buy to Let Loan? Buy to let mortgages are lent with the specific purpose of purchasing another property, which will then rented. Ideally the rent from the property will be enough to cover the mortgage payments and have some extra left over. Some people use buy to let mortgage schemes as a long term investment in much the same way as a pension plan. There are pros and cons to buy to let mortgages, especially now that interest rates have risen. Around one in ten properties in the UK are bought specifically with the intention of letting, and there are ways to make good on this investment. Recent economic factors have made people wary of buying houses and this has lead to an increase in people looking to rent. The best buy to let properties will be one or two bedroom houses. Other good purchases will be lower cost ex council houses and houses in need of repair. Location is a very big factor in this market and desirable properties close to amenities will always prove popular. Mortgages repayments will usually either be based on capital repayments or interest only. If you are paying a large cash deposit of around 20% to 30% then you may be able to negotiate a low mortgage rate. Lenders will also take into account how much will be earned on the property and they will sometimes add this amount to your existing salary for borrowing purposes. A general mortgage calculator figure will usually provide a rental income of between 125% and 150% of the actual mortgage repayment figure. So if your monthly mortgage payments are £1000 then you will need to rent out your property at between £1250 and £1500 per month. Nearly all lenders will have some form of buy to let mortgage loan. Shopping around is the best bet in order to find a low mortgage rate. The usual lenders will be banks, building societies and loan brokers. 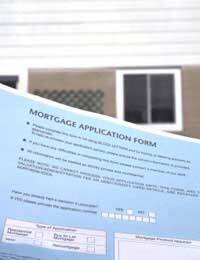 Borrowers should also check online only lenders if they are considering this type of mortgage loan. Online only lenders may have better finance deals than many of the high street lenders due to lower overheads. Remember, finance deals and interest rates will always be more competitive if you can offer a large cash deposit. If you are considering investing in the buy to let market then professional advice does need to be taken. This is a risky market for the first time buyer and there is a lot at stake. If rental prices drop then you could be left topping up the mortgage payments yourself. Always shop around and compare the best interest rates available, and always make sure that you have researched your rental market thoroughly before buying.